CHS has news of yet another vegan food+drink project coming to Capitol Hill. What this one is missing in specifics, it makes up for in character and radical sociopolitics. “It’s about more than just ethics. A lot of people just aren’t aware of their food choices,” Ashton Gearhart tells CHS. What I need is a sum of $325,000 dollars to purchase a local restaurant that is for sale. I have searched and searched and this opportunity is perfect. It is the right size, has the correct equipment and is located perfectly. I know I will be able to accomplish some truly amazing things with this space if contributors can help me achieve the purchase. Sevcik’s “founders” won’t walk away empty handed, of course, for their act of generosity. The Thierry Rautureau protege will present his donors with equivalent gift cards and dinner experiences in return for their cold hard cash. Art space Ghost Gallery is trying to crowdfund its online expansion. The Capitol Hill gallery, located at 504 E Denny Way, announced an Indiegogo campaign with a target of $10,000 by early July to fund the completion of the online expansion by fall 2016. What do you get when you combine the owner of a decadent dessert shop and the owner of a healthy juice company in Seattle? Nut milk ice cream, fresh fruit sorbet, and a future customer base willing to loan out cash to make it happen. This week Autumn Martin of Hot Cakes Molten Chocolate Cakery and Kari Brunson of Juicebox Cafe launched a fundraising campaign to close their budget gap on plans for their “plant-based” ice cream shop Frankie & Jo’s. The duo are scouting two possible locations, including one on Capitol Hill, with plans to open this fall. But don’t let geography be the only thing that sways your investment. What happens when your crowdfunded neighborhood bakery has to find another neighborhood? Pocket Bakery won’t be opening in the Central District anytime soon. Josh Grunig, the baker behind the bakery said he would still love to open a retail location in the area, but financial realities have forced him to alter his plans from a year ago. “Maybe I was a little naive, but I also try to be as optimistic as possible,” Grunig said. He had been operating Pocket Bakery as a pop-up in Magpie, a toy and clothes shop on 20th and Union with plans to open his own retail location in a new building near 23rd and Union. He explored bank loans but ended up raising about $25,000 from crowdsourcing. He has about 100 participants in the loan program, about a third of whom were from the neighborhood, he said. But $25,000 doesn’t even come close to funding the startup costs for a retail bakery. Building out the dining space alone can run into the six figures, and then there’s still the kitchen. After his fundraiser finished, he found his would-be landlord was not as optimistic as he about his plans to come up with the capital. These Saturday morning “pop-ups” have been an opportunity for Grunig not only to expand his menu while helping raise his newborn daughter but also to create relationships with the businesses and residents of the Central District. He wants to give back to the “extremely supportive” neighborhood by providing a delicious food made from sustainably-grown, nutritional, local ingredients. But frequent customers want access to his vegan sourdough, croissant-donuts, pistachio shortbread and cinnamon rolls for more than three hours a week, so Grunig has started a fundraiser to put his bakery in a brick-and-mortar home in the Central District. There appears to be plenty of support for the campaign based on the Community Sourced Capital system of crowdfunding in which investors can provide a no-interest loan to small business owners and organizations $50 at a time. The Pocket fundraiser launched on May 15th, and has already raised more than $8,000 of its $10,000 minimum goal. For more information on how to help Grunig get his bakery up and running, visit the Pocket Bakery Community Sourced Capital page. In the wake of the successful SIFF campaign to reopen the Egyptian Theatre in what may have been the biggest crowd-sourced financing drive ever for a Capitol Hill project, 15th Ave E’s Nuflours gluten free bakery is also turning to the crowd for a much smaller loan. After nearly 15 years of supporting Central Seattle’s boxing community, Cappy’s Boxing Gym asked for some online help in return. This summer, they go it. 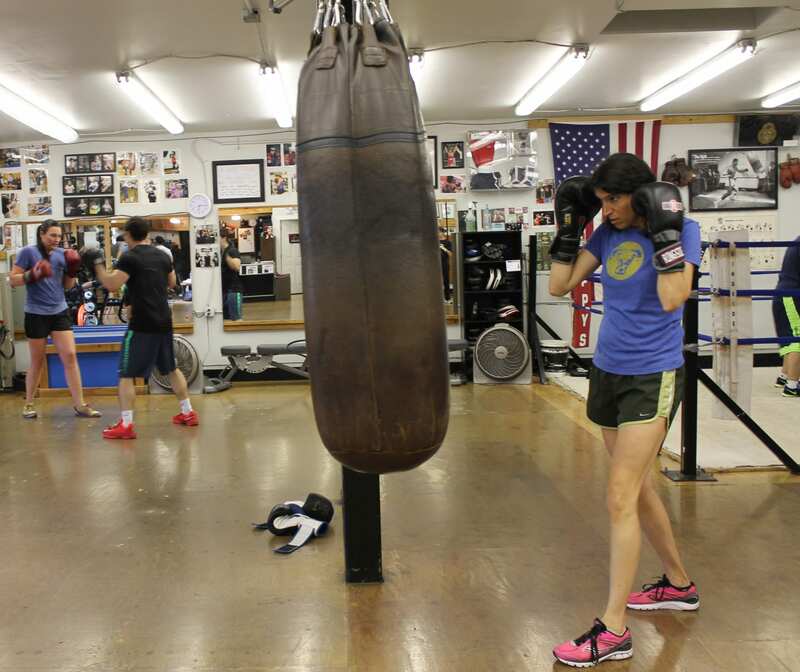 After facing some recent financial setbacks, owner Cappy Kotz said his 22nd and E Union gym had joined a long line of businesses which have found the raised rents and changing social dynamics of Capitol Hill and the Central District difficult to weather. So, in order to expand the business and prepare for the future, Cappy’s Boxing Gym began an Indiegogo fundraising project on June 1. The campaign asked for $15,000 to help “continue to produce Olympic caliber athletes and transform lives,” with much of the money going towards marketing. Last week, donors answered the call, raising just over $15,000 well before the July 1st deadline. Coach Ann Bailey said she was overwhelmed with the response.